The Alpha experience was just brilliant. No question was dismissed as ‘silly’ and I felt completely comfortable being there and not being a Christian. I didn’t feel pressured at all to change that either. Alpha definitely helped me to understand Christianity but it let me do that at my own pace. I didn’t know what to expect but I got so much more from the experience than I could have ever imagined. I did Alpha on the recommendation of friends at Kings. I came with an open mind and no preconceptions. Over the weeks I discovered Christ and I left a Christian with a thirst for more knowledge. I was intrigued to see what happened on Alpha. So I went along and made some great friends. The course helped answer some of my questions, but ultimately understand myself and the feelings of my soul. Towards the end of Alpha I became a Christian and gave my life to Jesus. I was baptised the same year! I was encouraged to try an Alpha course by my wife and daughter, who are both practicing Christians. I was unsure about the idea at first and only agreed to go to get some peace and quiet at home. To my surprise I enjoyed the whole experience, met some lovely people and gained a useful insight into both Christianity and the working of King’s Church. Alas, I, personally, remained unconvinced. 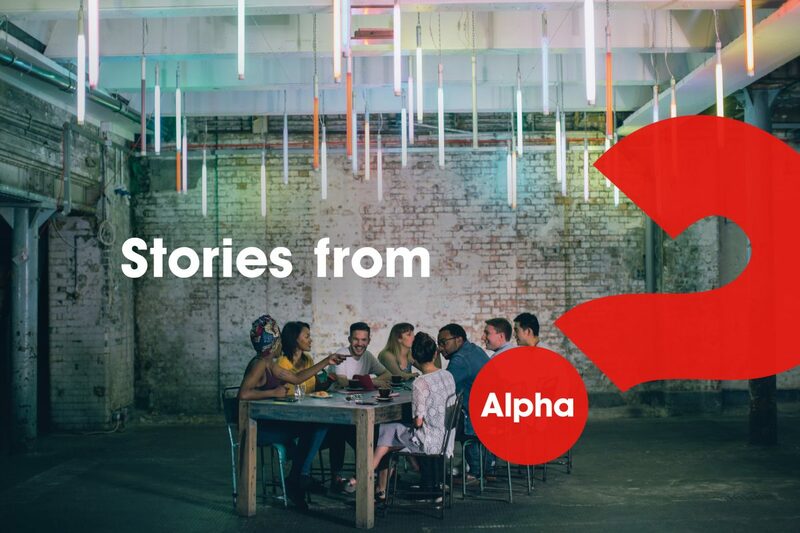 But I would encourage anyone with questions about Christianity to go on an Alpha course. I found Alpha was the perfect platform to ask questions about Christianity from a very basic level. It was an opportunity to question my beliefs about the very existence of God and the accounts of Jesus and the Bible itself. We tackled those perceptions and with the help of friendly and extremely patient group leaders we could talk openly and I felt completely at ease. I was so inspired by the experience I have continued in my learning and have made long term friends. I attended an Alpha course after seeing an advert on a church building, “Find the meaning of life” it said. I was looking for something, but just not sure what it was. I now believe in Jesus, but I’m still figuring out all the other stuff. One thing I do know is that I feel better for attending Alpha. Since falling away from the church and losing my way I was led to Kings and then Alpha as a way of understanding Christianity again. This time I made the decision on the Alpha Away Day to become a Christian. Alpha has led me to some of the most beautiful friendships; it has allowed me to grow as a Christian and has encouraged me to accept new gifts from Jesus. My husband and I had only just made a decision to become Christians so Alpha was a great introduction in getting to know what Christians believe. Week by week we made new friends and heard more about how God speaks to people. It was the most significant decision I have made in my life. It was a very special experience to meet with people who had found great strength and comfort in their faith, and also others who were searching for some meaning in their lives. The course showed me that God’s love as a heavenly Father is eternal, unconditional, forgiving and supportive in all aspects of our lives. I always thought of myself as a believer but never committed to why or how I believed. For me, Alpha at Kings welcomed me from day one and their malleable approach meant that knowledge gaps were filled, facts replaced fiction and the message became clearer. I was intrigued to find out more about Christianity and if indeed it was for me and to dispel myths and find the truth about Jesus Christ. Alpha answered numerous questions I had, whilst building relationships with Christians and non-believers. Each week built my trust as questions were answered and in November 2014 I put my life in God’s hands and became a Christian. I’d felt that there was something missing, that I had a hole for most of my adult life and tried to fill it with relationships that never worked. Coming to Alpha I was welcomed with open arms, I felt at home, and I learnt so much from everyone about Jesus, his teachings and about the sort of person, and parent I wanted to be. My Group Leader prayed for me each week and slowly but surely the hole and that feeling of emptiness disappeared. I knew, with certainty that Jesus was Lord and I wanted to follow him. I was baptised on Easter Sunday, and it was the most amazing day of my life.